"What is a Stylophone?” you ask. The original Stylophone pocket synthesizer was invented in 1967 by Brian Jarvis and manufactured by Dubreq from 1968 to 1975 as a pocket electronic organ. Over three million original Stylophone synthesizers were produced and sold before the company ceased production. 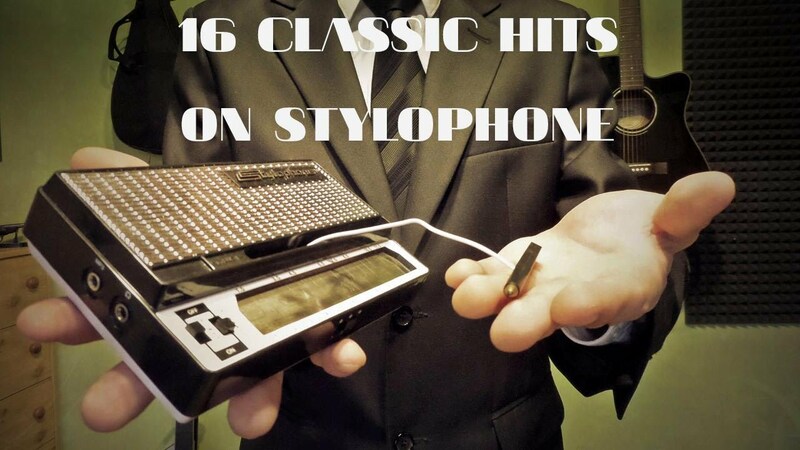 The Stylophone portable synth has been featured on numerous records, including hits such as “Space Oddity” by David Bowie, “Pocket Calculator” by Kraftwerk, and “Icky Thump” by The White Stripes. Today's Stylophone reissue was introduced by the inventor's son, Ben Jarvis and is still manufactured by Dubreq, Ltd. The reissue retains all of the original features but with up-to-date technology. The current Stylophone retro pocket synth is a modern, portable synthesizer with a hit-filled past and present. One reason for this success is that the stylophone is easy for anyone to play! Simply touch the notes on the metal keyboard with the stylus to play melodies. Choose between three cool, retro synth sounds and add effects like vibrato or pitch change. — Vibrato Switch For An Automatic Pulsating Pitch Effect. — Headphone Jack/Audio Out For Sending To Mixers, Effects, Etc. — Two New Exclusive Stylophone Sounds As Well As The Classic Original. Can you hear without as external hearing device? Yes, the Stylophone has a built-in speaker. What else is needed to have the drum effect? The Stylophone does not include any drum samples or beats. If the estimated ship time seems a bit long, it's because many items are shipped in bulk at the end of the sale (on Dec. 29), which is what affords you the discount. Some items are also made-to-order and/or are shipping internationally. The best things are worth waiting for!